Ready to give canning a try? Here are all the supplies that you'll need to round up before you get started. If you plan to can fruits, tomatoes* and other high-acid foods, a water bath canner is the canner for the job. 21-quarts is the most common size, but you can also find larger versions. If you decide to buy one second-hand, make sure it still has its lid and rack. You can buy replacement racks, but they cost almost as much as a brand new canner. *Some newer tomato varieties are lower in acid than most and may need to be processed in a pressure canner or have additional acid added to them. 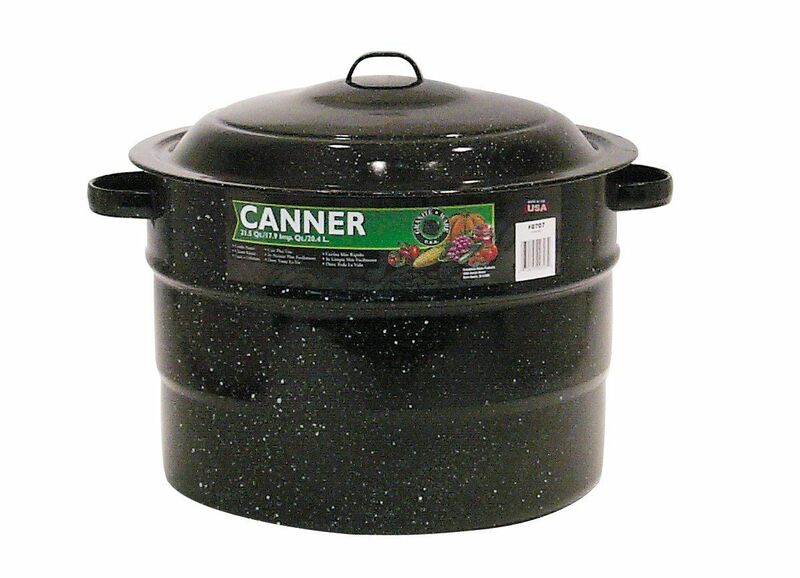 If you plan to can vegetables, meats, seafood and other low-acid foods, you'll need to purchase a pressure canner. This type of canner is capable of reaching 240 degrees Fahrenheit – the temperature required to kill bacteria. Most canners come with a rack to hold the jars, but if yours is missing or worn out, you can purchase one separately. I recommend going with a wire rack. The plastic racks aren't as sturdy, and they don't hold anywhere near as many jars. Glass jars with lids and rings are required for foods that will be stored at room temperature. Glass or plastic freezer jars can be used for foods that will be stored in the refrigerator or freezer. Keep an eye out for canning jars when you're out yard saling. As long as they aren't chipped, they can be reused again and again. Just know that you need to start with fresh lids every time you can. They're not safe to reuse. Jar lifters are used to safely lift hot jars out of the canner. They're a definite must-have. Magnetic lid lifters are used to lift canning jar lids out of boiling water. You can get by with a pair of long-handled tongs, but this works much better. A wide-neck canning funnel makes filling jars faster and less messy. Just stick it on top of a jar, and pour. Stainless steel and plastic funnels are available. I recommend going with a stainless funnel. It shouldn't ever have to be replaced, and you won't have to worry about it getting bent in storage. Pectin is a liquid or powder that is added to jams, jellies, and other fruit spreads to make them gel. It's usually derived from citrus peels or apples. You can buy pectin in individual packets (enough to make one batch of jam/jelly) or in larger, multi-use containers. The large containers usually work out to be cheaper. If you plan to make freezer jam, make sure you buy freezer pectin. It's formulated differently than regular pectin. If you plan to make a low-sugar or no-sugar jam/jelly, be sure to buy no-sugar or low-sugar pectin. Pomona's Pectin is one example. Some jam and jelly recipes do not call for any pectin. That's because they're made with fruits that are naturally high in pectin, so they gel on their own. A jelly strainer is a handy tool to have if you plan to make jelly. Just clip it onto a bowl or pot, and pour your jelly through the strainer bag to remove seeds and fruit pieces from your finished jelly. Invest in a food mill, if you plan to make your own applesauce or tomato sauce. It makes quick work of separating the seeds and skins from your finished sauces. You can use it to strain your jellies, too. If you don't own any of this equipment yet, consider purchasing a canning kit. It'll probably be cheaper than buying each of these items individually. Look for one with sturdy tools made of metal. Some of the newer canning kits have lots of plastic parts that aren't likely to last for long. Need a good canning reference book? The Ball Complete Book of Home Preserving is the one to have. It includes canning instructions, tips, and over 400 recipes. If you have a question about canning, this book has the answer. 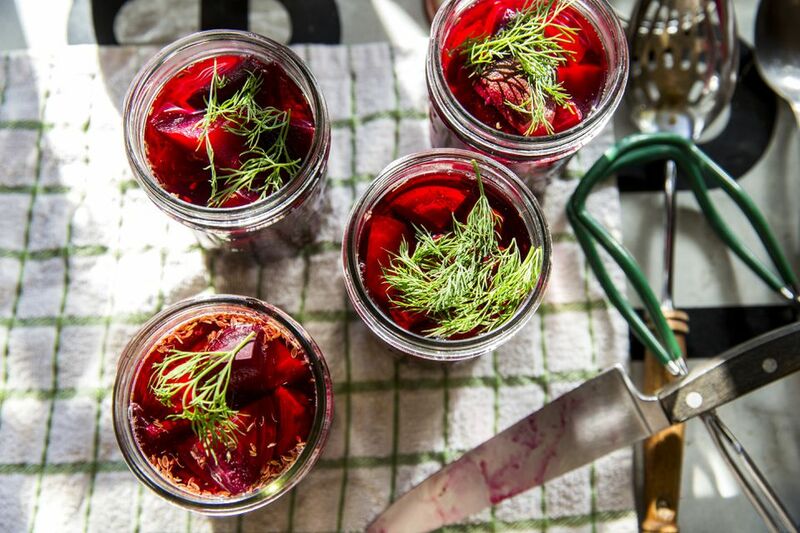 Another good source for canning information is the National Center for Food Preservation. They keep up with the latest canning methods, so you can trust that their information is safe. How Many Strawberries Are in a Flat?